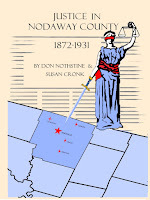 Justice In Nodaway County is a compendium of major cases recovered from history. 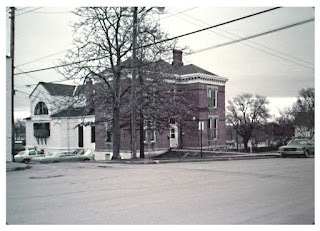 The cases gained state and national attention at the time they occurred. The crimes involved were murder and attempted murder, and they had a variety of outcomes for the defendants, including legally-sanctioned hanging, hanging by mob, acquittal, conviction and imprisonment, and death by fire. Like many states, and many countries, these crimes were not new or unheard of, but in a few of the cases they had a significant impact on the community in which they occurred, and in some cases led to new legislation in Missouri, including the creation of the state policing and investigation department called of the Missouri State Highway Patrol. Justice In Nodaway County was written with Don Nothstine, a retired professor of Northwest Missouri State University, who shares an interest in history and especially historical true-crime. 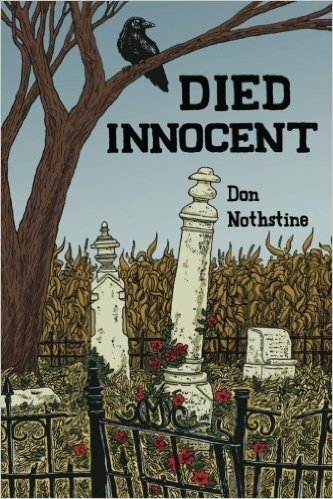 Don is also the author of Died Innocent, his first book, a fictional tale based upon Northwest Missouri murder in 1880. Died Innocent was published on October 16, 2016 and is available on Amazon. Sue Nothstine aided in the completion of this book, providing editorial assistance. Her efforts are gratefully appreciated and acknowledged by the authors. 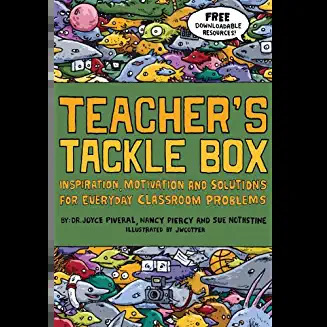 Sue is a coauthor herself, of the book Teacher's Tackle Box.